Making prototypes in short sprints and delivering new iterations excites me. Seeing a product grow day by day puts a smile on my face. And on yours! I Design digital products for startup minded companies. Helping these companies validate new ideas and assumptions through rapid prototyping and testing makes me happy. When Helloprint / Drukzo started back in 2013 it’s mission was to get online printing available for everyone regardless of their expertise or location. From entrepreneurs and individuals with no printing experience to professionals who needed a solid printing partner. 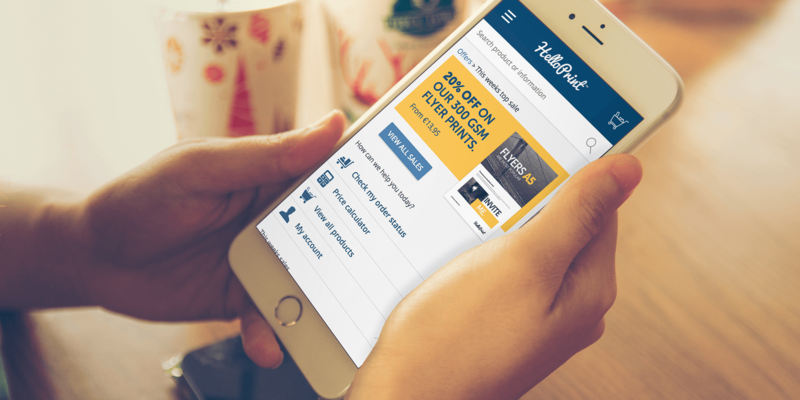 As a Creative director / UX designer I developed and improved the entire user experience of the Helloprint brands from scratch. Latest designs and prototypes on request only. From zero to launch in a month. 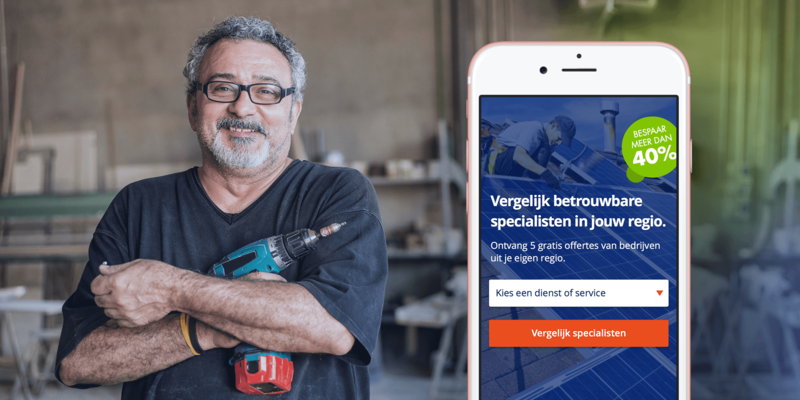 Eerstvergelijken.nl is a new platform where consumers can get in touch with reliable specialist in a safe, honest and clear way. The problem: How can we generate quality leads for specialist without losing consumers trust? Within a week we generated ideas and build a funnel prototype that would later be the core of Eerstvergelijken.nl services. The user friendly service funnel invites consumers to select options and give relevant information based on the specialists service and feedback. In this case, specialist can sent better offers to consumers without losing to much time on calling for extra information. In a market with more than 2 billion ferry travelers a year FerryGuru helps visitors to find and book their next ferry in a helpful and visual way. 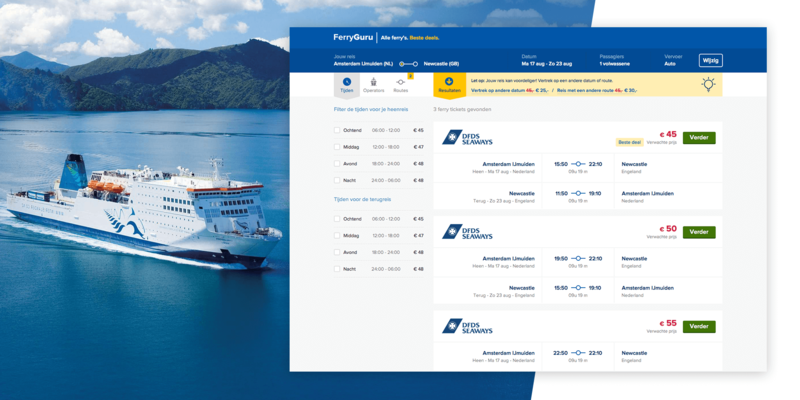 In contrast to competitors we designed FerryGuru in a organized way so consumers could find information about routes, touroperators, different times and prices. You can view a demo of the final consumer flow below. Making prototypes in short sprints and delivering new iterations excites me. Seeing a product and brand grow day by day puts a smile on my face. And on yours! © MORE WORKS AND DETAILS COMING SOON. Chamber of commerce (NL): 50235305.